Fostering a shelter pet is a fantastic way to make a difference, especially when you're not in a position to adopt a pet yourself. In many ways, it's even better to foster than it is to adopt. While an adopter can permanently save 1 or 2 animals, a foster parent can help save many animals each year! Best of all, the shelter covers all of the expenses (e.g., food, medical care, vaccinations.) and provides you with any supplies that you might need (e.g., crates, litter pans) to care for your foster pet. All you have to do is provide a loving temporary home and be willing to bring your foster back to the shelter for special events or for appointments to meet potential adopters. Many of the animals in the shelter cannot show you how loving and affectionate they can be because being housed in a shelter can be a stressful and terrifying experience for them. It's tough when you've spent your whole life living in a home to suddenly find yourself in a strange, noisy place with lots of other animals around you. However, many animals that do poorly at the shelter, thrive when they move into a foster home. By placing these animals in a foster home, we avoid the risk of having to euthanize them at the shelter if they deteriorate too much (going kennel crazy is unfortunately a real risk). And we give them a great chance of being adopted. Happy, relaxed animals living with caring foster parents are much more likely to be adopted than stressed out, unhappy animals that cower in their kennel at the shelter. Fostering also helps the shelter keep extra space open for any animals that are surrendered or brought into the shelter. 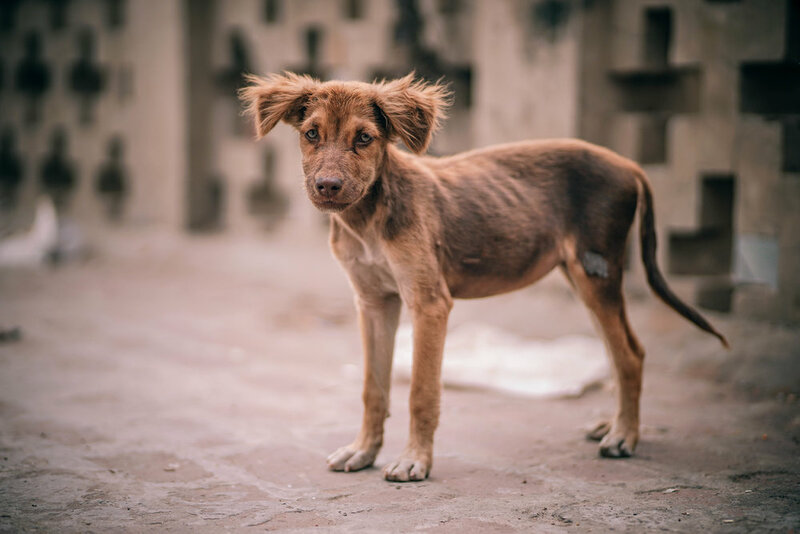 This is especially important in the spring and summer months when shelters all over the nation are overwhelmed by an influx of puppies and kittens as well as the normal flow of adult animals. The reality is that open-intake shelters, like MOAS, only have so much space. So fostering helps us manage the space we have more efficiently. By fostering, you're not only saving your foster pet, you're saving the animal left behind at the shelter that needs your pet's kennel space. There's a lot of research about the benefits of having pets in your life. But for some people, it's hard or even impossible to make a lifetime commitment to an animal. Do you travel a lot but are reliably available for a couple long stretches of time? Are you unsure where you'll be in the next year or two and not certain that a pet can go with you? Is it too expensive for you to have a pet of your own right now? If any of these situations apply to you, you can still be a temporary foster parent and enjoy the benefits of having a pet in your life without having to worry about what the future holds. You can cuddle a constantly rotating bunch of kittens and puppies (if you so choose!) without the need to keep them all. Who doesn't love puppy breath?! And if you want to teach your kids about the miracle of life, this is a great way to do it without letting your own pet(s) reproduce. Some foster parents are what we call "Fostering To Adopt." In other words, if you're looking to add a new pet to your family, but aren't sure what you're looking for or what animal might be the best fit, you can start fostering and then adopt one of your fosters once you find the perfect one. Do understand, though, that fostering is a commitment, not just a trial home placement. You don't have to make any financial contribution towards the care of your foster pet. It can mean the difference between life and death, especially for bottle babies who must be fed every two hours. They get an opportunity to learn a routine and learn other important skills like crate-training, basic commands, how to walk on a leash, etc. Some foster pets are already house-broken and know many basic commands, but others (especially the babies!) will be starting from the beginning. While foster parents certainly don't need to be professional animal trainers, it helps if they are able to help their foster pets practice their manners so that they're off to a good start before they're adopted. They get additional socialization opportunities. A foster dog may get to go on trips to the dog park or walks around downtown. A foster cat may get to learn how to play with the family dog or to be gentle with children. These are all important things that can help our foster animals gets adopted! They enjoy a relaxing, happy home outside of the sometimes stressful shelter. They have a chance to receive essential and oftentimes life-saving medical treatment. Heartworm positive dogs desperately need foster homes because the treatment takes a while (usually 2-3 months) and they aren't allowed to get excited or run around while recovering. A foster home is an ideal place for them to recover, while (as you can imagine) the shelter definitely is not. This is also true for injured animals that need a better place to recover than the shelter. Reduced demands on kennel space at the shelter. The ability to help save more animals than we have capacity to hold at the shelter. If you are interested in fostering with us, please fill out the application on the right side of this page. If you have additional questions, please contact the shelter at 706-795-2868 and ask for our Foster Coordinator who will be happy to assist you. After a month or two in a foster home, a pup like this will be the picture of health! Type N/A if your do not have pets or if they are spayed/neutered. Specific Breed, Size, Inside/Outside, etc. For Dogs and Puppies will you crate? If Yes, how long will they be crated? Type N/A if you have not owned a pet.